A story in which one man struggles to save his family and his small North Carolina town after America loses a war, in one second, a war that will send America back to the Dark Ages…A war based upon a weapon, an Electro Magnetic Pulse (EMP). A weapon that may already be in the hands of our enemies. 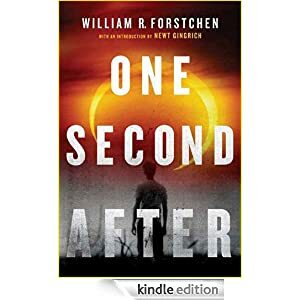 Months before publication, One Second After has already been cited on the floor of Congress as a book all Americans should read, a book already being discussed in the corridors of the Pentagon as a truly realistic look at a weapon and its awesome power to destroy the entire United States, literally within one second. You can buy this post-apocalyptic thriller for$2.99 today.